66k Photographed prior to World War I by J.E. Green, Chester, Pennsylvania. 115k Santa Teresa (ID 3804) fitting out at the Cramp shipyard, Philadelphia, PA., on 18 November 1918, the day she was commissioned. 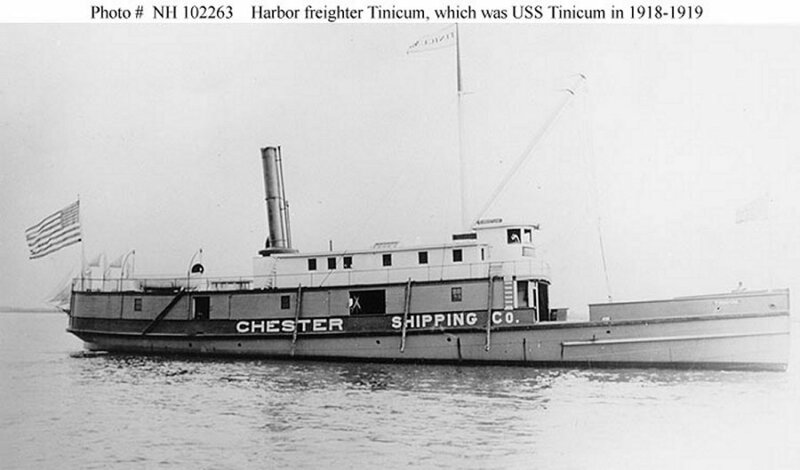 The small ferry steamer Tinicum is at right. A destroyer in visible behind Santa Teresa. There is no DANFS history currently available for Tinicum (SP 1113).